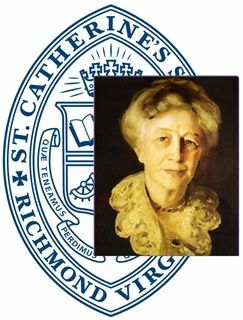 Virginia Randolph Ellett, or “Miss Jennie” as she was affectionately known, was the founder and headmistress of St. Catherine’s School for nearly five decades. In the 1890s, Virginia Randolph Ellett strongly believed that girls were capable of higher education. The School today carries the same timeless ideals of intellectual rigor and joy in learning. Just as Miss Jennie designed the early curriculum that was at once classical and revolutionary, our teachers continue her legacy of innovative teaching and experiential learning today. As early as 1895, the Virginia Randolph Ellett School was recognized by Bryn Mawr as a school whose graduates were qualified for college work. Her advancements enabled Richmond to become one of only eight cities in the world where College Entrance Board Exams were given annually to women. With a curriculum described at the time as being “at once classical and revolutionary,” Miss Jennie’s school was the first in Richmond to send girls to college. In 1917, the School was incorporated and moved to its present site in the Westhampton area of Richmond. It was sold to the Episcopal Church in 1920 and renamed for St. Catherine, the patron saint of young women. Miss Jennie, who had relinquished her headship some years before, continued to teach and live at the school until her death in 1939. Virginia Randolph Ellett was born in New York City in 1857. When Virginia was a young girl, her family moved to her father’s hometown of Richmond, Va. Later, the Ellett family faced great challenges, most notably when Virginia’s father became a casualty of the Civil War. Her mother raised Virginia and her sister in various boarding houses and became their first and most influential teacher. Virginia then continued her education at Miss Gordon’s School and Mr. John Powell’s School. At the age of 17, she became a governess for the Hicks family and began teaching at Miss A.B. Camm’s School for Boys. Miss Jennie started her school in 1890, which was a turbulent time in Richmond. The Virginia Randolph Ellett School (V.R.E.S.) opened in the front parlor of the Travers House, a boarding house where she lived with her mother and sister. Miss Jennie was a progressive woman holding multiple responsibilities who devoted herself to teaching and learning at a time when women were not expected to have a life outside of home and family. Her stellar reputation for teaching girls grew in the community and parents of girls sought her out to educate their daughters. Miss Jennie’s educational philosophy was remarkably advanced for its day. At a time when serious study for girls was considered socially fatal and even physically harmful, Miss Jennie fostered the pursuit of higher education for qualified young women. Preschool opportunities, experiential learning, the country day school experience, physical exercise, saturation in English and insistence on a foreign language are just a few cutting-edge theories of the day that she fully embraced. With no time to waste on “silly primers,” she taught even the youngest children the classics and the finest English literature of the day. Her students were engaged and enlightened with lively and interactive instruction, including history plays, Socratic debates and field trips. It was her profound desire that her students should get the best possible education the country offered — “an education as good as their brothers’” — and she purposefully fine-tuned her curriculum toward that goal. In addition, she established Richmond’s first Montessori school in 1913. Miss Jennie thirsted for more beyond. She spent her summers advancing her learning by taking college courses at universities in the North, including Harvard University. It was at Harvard that she met Professor John Macy, who became her mentor. She leveraged the relationships formed through her university studies to develop a mentoring program for her students with her university colleagues. At last in 1925, nearly 70 years old, she fulfilled a long-cherished dream of a year’s study at Oxford. It was during this year that she was a guest at “Cliveden,” the home of one of her greatest student admirers, Nancy Langhorne (Lady Astor), alumna of the V.R.E.S. who was the first woman to sit as a Member of Parliament. Only of finding no more work beyond. The names and faces have changed over the years, but our legacy of excellence endures. Girls thrive in an ideal learning environment where intellectual curiosity flourishes, individuality shines and confidence abounds.